Located at 2074 West Market Street, Preservation House was originally constructed as a schoolhouse. In addition to serving as PTP's current home, Preservation House is also the focus of a more than $200,000 restoration project funded by PTP. The most immediate goal was to make the building more recognizable as a schoolhouse again, specifically through such additions as a period-appropriate belfry. 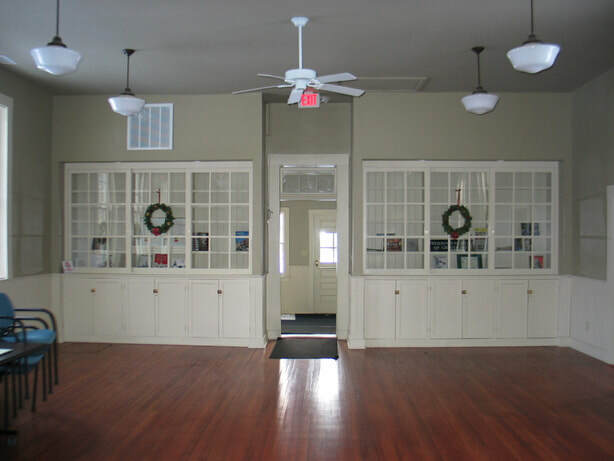 Preservation House is available to rent for social gatherings and meetings. Our meeting room is approximately 25' x 32' and furnishings include 42 cushioned chairs and 12 6'x3' tables. The food preparation area includes counters, a sink, under-counter refrigerator, and microwave. There is one restroom in the vestibule. Maximum seating capacity is 50 people. For rental information Contact Us. Click here to view our conditions of use.